Did You Know That You Can Improve Your Business Capacity through a Commercial Mortgage? Like any other mortgage, a commercial mortgage is also available on providing your property as a collateral. Commercial mortgage provides an opportunity to the businesses. It provides businesses with an opportunity to establish and expand. A commercial mortgage is preferred for the properties and assets that produce running income as there is a direct comparison of the income and the expenses. It is given out on the basis of the financial standings of the company, and not on the basis of the individual’s financial position. So a well-established firm has a higher possibility of availing a commercial mortgage than a newly established firm. How Does Commercial Mortgage work? Firstly, the borrower ought to be a company as it cannot be availed on an individual’s name. Commercial mortgages can be availed by keeping a business asset under the mortgage. Generally, these mortgages are taken upon office building, warehouse and other working assets involved for administration purpose in a company. The proceeds of a commercial mortgage are used to either refinance existing debt obligations or acquire property or for the expansion of a business. Residential properties can be mortgaged under commercial mortgages, only if they have been held for the purpose of investment and not for any residential purpose. 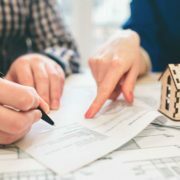 An additional condition for the property to be eligible for these mortgages is that the properties should have a market, and they should be eligible for letting out. Since commercial mortgages are in the name of the company and not in the name of the individual, the borrowers do extensive background checks for the persons who are involved in the management of the company. While availing the commercial mortgage, all the important financial documents and financial statements of the company. Apart from these, the growth report and the other developmental aspects of the company should also be presented. Most commercial mortgages in Canada are taken upon residential properties investment, which is then rented. It is beneficial to the mortgage taker as the company need not invest a lot of owned capital. Commercial mortgage approval relies primarily on the income generation of the asset being mortgaged. So if there are income producing assets with low risk in the change in their income, approval of a commercial mortgage upon that asset is easy for companies. https://platinummortgagesottawa.com/wp-content/uploads/2018/08/platinum_logo_MA-1.png 0 0 platinummor https://platinummortgagesottawa.com/wp-content/uploads/2018/08/platinum_logo_MA-1.png platinummor2017-11-15 06:17:102017-11-15 06:19:29Did You Know That You Can Improve Your Business Capacity through a Commercial Mortgage?